NEW! Exclusive 2019 Presale Sweatshirt! NEW this year! Pre-sale buyers will be able to purchase an EXCLUSIVE 2019 pre-sale sweatshirt designed by Louisville’s own, Robby Davis. It’s a 55% cotton/45%polyester blend fleece. These won’t be available at the festival! Add the sweatshirt to your cart before check out. 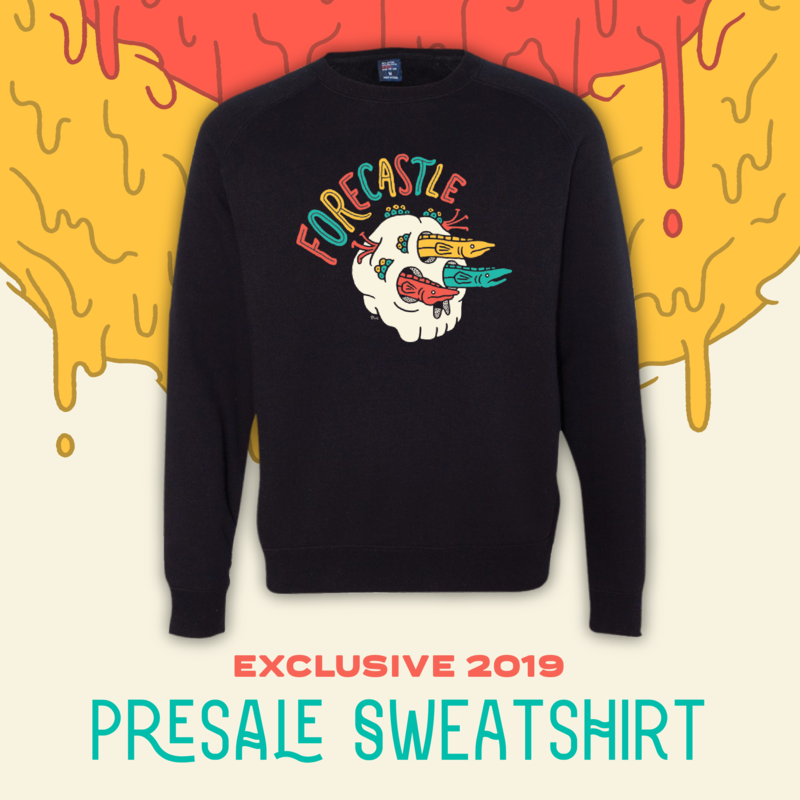 Orders will arrive by mid February so you can rep Forecastle all year round. For festival updates, artist news, and more!